MG Engineering was the only South Australian based company outside of the ASC to have been subcontracted to supply ship blocks for the new Air Warfare Destroyers. 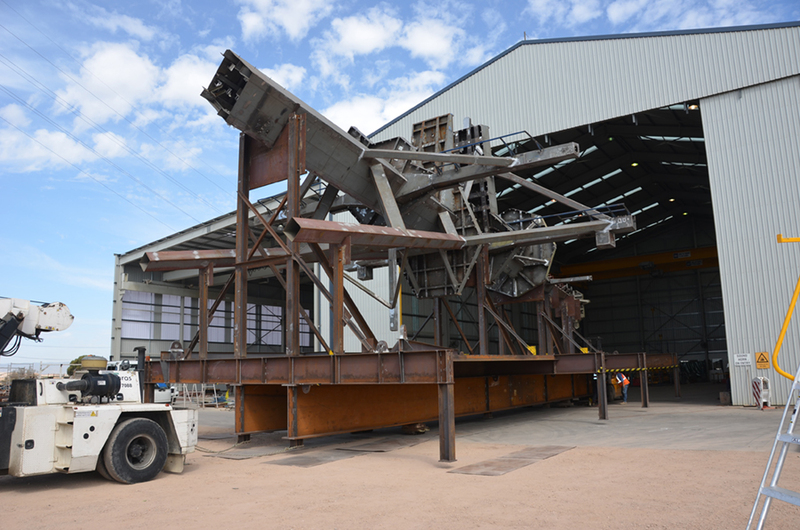 We were awarded the contract of delivering three mast blocks, built and assembled at MG Engineering’s water front facility in Port Adelaide. Our scope of work on this project was to manage the complete project along with tasks including fabrication, 3D modelling, drafting, accuracy control, installation of piping and internal painting. The masts were loaded onto a barge and delivered to the ASC Techport (AWD Alliance). MG Engineering has the capacity to build and transport Modular Blocks of up to 40 metres in length, 20 metres in width and 200 tonne in weight. The blocks can also be outfitted at our facilities. With our waterfront facility we can supply onshore and offshore modular blocks which allows us to potentially supply to offshore gas and other major projects in and around Australian ports.